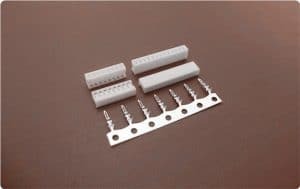 Scondar offers cost-saving, easy-to-assemble, board-in connectors ideal for simple and permanent electronic connections, which can stand as replacement for branded connectors such as Molex and JST board-in connectors. Scondar provides this slim, low-profile board-in connector design in a wide range of pitch options, mating configurations and circuit sizes that offer reliability versus hand-soldering. This board-in connector is capable of connecting a wide variety of circuits including signal and power supply circuits. 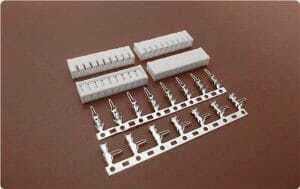 Scondar offers a wide variety of board-in connectors with design flexibility and in various configurations to choose from such as top-entry or vertical-entry connectors and side entry or horizontal-entry connectors, or from a straight, single position header to a right angle one with multiple rows. There are a number circuits ranging from 2 up to 16 to choose from, making allowing adaptable power delivery for various system requirements. 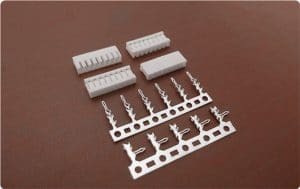 Intendedly manufactured for combining both flexibility and reliability, these low-profile connectors are equipped with a crimped-style lock mechanism for safe fastening and removal of the wires from the board. Utilizing Terminal Protection Assurance(TPA) Technology, Scondar manufactures board-in connectors with enhancements in its connector housing and contact design to help prevent connection failure. Scondar has a group of professionals specializing in electronic wire connections. 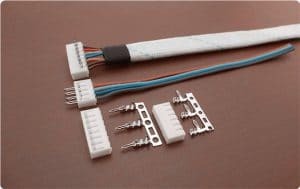 They offer board-in cable assembly service to their clients, delivering your projects into the next level with great customer care and service reliability.